While much of America was watching the first Presidential debate of the 2012 election last night, real news was breaking when hip-hop superstar Rick Ross took to twitter to announce his next project. 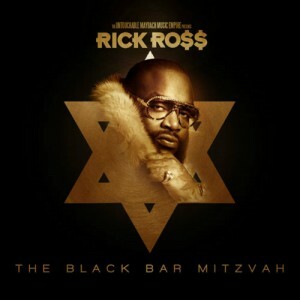 That’s right, come October 8th, Rick Ross will be celebrating his Black Bar Mitzvah. And, in case you think this is some misunderstood hip-hop slang, Rick tweeted out the album artwork, putting any doubt as to the project’s semitic veracity to rest. So, we say to you, Mr. Ross – Mazal tov! Today you are a man! Go celebrate with Drake! We’ve already planted a tree in Israel in your name, and our check for $18 is in the mail. UPDATE: Stoking the fires of their already volatile feud, rapper 50 Cent has announced the name of his next album – Get Bris or Die Tryin’. ACTUAL UPDATE: Black Bar Mitzvah dropped yesterday – you can listen to the whole thing below. L’chiam!